Child protection is a foremost government responsibility. With this in mind, I have joined my colleague on the Health and Human Services Committee, Sen. Judy Schwank, to push reform of laws, regulations, and funding for Pennsylvania’s child welfare system. We are looking to establish an Interbranch Commission on the Child Welfare System to help create safer conditions for the thousands of children who find themselves in need of loving, nurturing homes. For many years, the system of children and youth services has lacked the priority, the funding, and the oversight it warrants. When resources are stretched too thin and shortcomings go unaddressed, heinous acts occur and heartbreaking tragedies result. While we have read about several horrific cases of child abuse, the truth is too many children in supervised situations suffer death, serious injuries, or endure abysmal living conditions. The fault for this falls on all of us, irrespective of party or administration or political philosophy. A special “State of the Child” report released last year detailed some alarming deficiencies. Declaring that the “child welfare system is broken,” Auditor General Eugene DePasquale said that despite nearly $2 billion in state spending, 46 children died in 2016, while another 79 nearly perished. Of the fatalities, almost half of those children had been placed with families already known by Children and Youth Services. This discussion is not an indictment of the many capable, dedicated, and accomplished folks involved in the system. The problems have been evident for some time and are largely structural, rather than evidence of poor performance. It is hard to escape the conclusion that the system is underfunded and overburdened. Offer recommendations to improve the child welfare system and prevent the reoccurrence of abuse. The panel is patterned after the Interbranch Commission on Juvenile Justice, which did an outstanding job of investigating the horrific circumstances of the Kids-for-Cash scandal in Luzerne County, and in developing an extensive series of reform recommendations, the majority of which were implemented. Advocacy from our communities has not been lacking. The deficiency has been in effective action, making sure that money and manpower match what we put in law and regulation, and most of all, what children at risk need from us. A commission provided the light and the leadership on juvenile justice, so we have everything to gain by applying that approach to the current crisis in child protection. Senate Bill 1087 earned unanimous support in the Health and Human Services Committee and moves on to consideration by the full Senate. The state Senate recently approved several bills strengthening protections for victims of crime and ensuring they are treated with respect and dignity by the criminal justice system. I believe they are a very important step forward in helping to address domestic violence. Domestic violence has historically been one of the most underreported crimes. Out of fear many victims do not come forward, and do not take steps to protect themselves or their children. The legislation seeks to strengthen and reform Pennsylvania’s domestic violence laws, offer greater protections to victims of domestic violence and their children, and hold abusers accountable. Another measure, known as Marsy’s Law, would establish a crime victims’ bill of rights in the Pennsylvania Constitution to protect and expand the rights of victims of violent crime. Senate Bill 449 (Tierne’s Law) allows Magisterial District Judges to use a risk assessment tool when determining bail in domestic violence cases. Senate Bill 449 goes to the governor for his signature and enactment into law. The others were sent to the House of Representatives for consideration. Volunteer fire companies in rural communities or those with fewer than 10,000 residents can apply for funding for training and equipment purchases directly related to fighting brush and forest fires. Grant applications must be submitted by April 19. Learn more about the Department of Conservation and Natural Resources grant program by clicking here. In reviewing applications, DCNR will place priority on those requests seeking funds for projects that include the purchase of wildfire suppression equipment and protective clothing. Converting and maintaining federal excess vehicles. 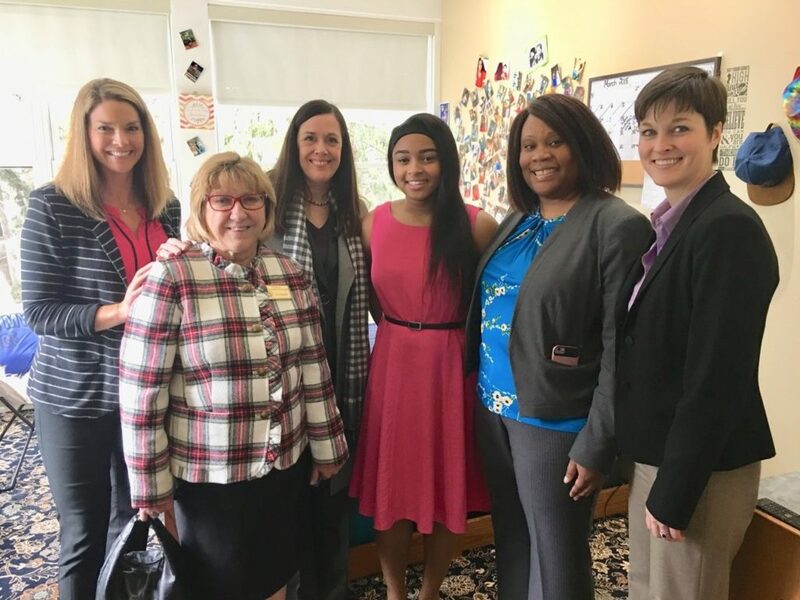 State Human Services Secretary Teresa Miller accompanied Sen. Baker on a visit to the Ruth Matthews Bourger Women with Children Program at Misericordia University to learn more about the program and speak with students. From left, Kristin Crawford, director of legislative affairs, Department of Human Services; Ann Houssock, Dallas office manager for Rep. Karen Boback; Sen. Baker; Ayanna Dexter, a student in the Women with Children program; Lisa M. Watson, deputy secretary, Office of Income Maintenance; and Sec. Miller. Department of Human Services Secretary Teresa Miller joined me at the Ruth Matthews Bourger Women with Children Program at Misericordia University to learn about the program and discuss opportunities to expand education and training options for vulnerable Pennsylvanians. The landmark program assists single mothers that are living at or near poverty level obtain college educations and continue into professional careers. The program is designed to break barriers surrounding intergenerational poverty and social determinants of health. This program takes a constructive approach to the difficult circumstances many single mothers confront. The women participating find prospects for a better life for themselves and for their children greatly improved. They are able to provide a positive example for their kids. Families able to reduce their day-to-day struggles can spend more quality time devoted to personal growth and development.